What is I-Waken Eye Serum? I-Waken Eye Serum is an eye treatment formula designed to help heal skin imperfections appearing around the eye area. It is infused with moisture-enhancing ingredients and antioxidants, both of which support faster skin rejuvenation so that the youthful vibrance of tired-looking skin around the eyes may be revived at the soonest possible time. I-Waken Eye Serum – Does it Really Work? I-Waken Eye Serum is a formula made specially for topical use on delicate skin around the eye area. It delivers a significant moisture boost that fills up empty spaces on as well as deep within your skin to give your skin a fuller and firmer appearance as it simultaneously decreases the depth of wrinkles. Reviews indicate that this serum delivers instant as well as buildable, longer-term benefits. Squalane: It deeply rehydrates your skin and supports round-the-clock moisture-enhancing functions to keep your skin from drying out. It promotes a smoother finish for your skin surface while also causing your skin to appear firmer as it fills up empty spaces in the skin matrix. Jojoba Esters: It enhances your skin’s firmness and elasticity. Cracks that create fine lines and wrinkles are also filled to make your skin show a smoother appearance when viewed from the surface. Ribes Nigrum (Black Currant) Leaf Extract: It has natural protective properties that shield your skin from damage caused by free radicals originating from internal as well as environmental sources. It works with your skin’s natural mechanisms for refortifying your skin’s barrier protection function. Spirulina Maxima Extract: It may speed up the rate and improve the volume of collagen produced naturally by your skin. With more collagen available, repairs and turnovers can happen faster and more frequently. Helianthus Annuus (Sunflower) Seed Oil: It has natural anti-inflammatory properties that promote a smoother, more radiant complexion rid of irritation and redness. It adds more hydration to help relieve your skin from dryness and dehydration. To use this product, apply a thin layer over freshly cleansed skin. Use morning and night for best results. This product may be conveniently purchased online. 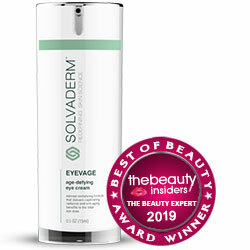 Reviews claim that this serum may be used to prime the eye area for makeup. The contents are packaged in an opaque tube that helps keep its active components from becoming reactive with sunlight and heat. Tube packaging allows for hygienic dispensing which prevents product contamination. 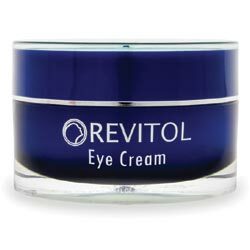 This serum has been formulated for safe use around the delicate eye area. This product contains alcohol which can dry out skin. Reviews are severely divided between satisfied and dissatisfied users. It appears that the primary ingredients may likely deliver instant but short-lived improvements. The tube packaging does not protect the contents from constant exposure to the air which may degrade the contents. The formula is infused with several ingredients that may sensitize skin. Does I-Waken Eye Serum Have Any Side-Effects? Is it worth buying I-Waken Eye Serum? Reviews indicate that I-Waken Eye Serum should be good enough to be used for all types of adult skin. However, potentially irritating ingredients may not make it suitable for use on more sensitive skin types. What is the Price of I-Waken Eye Serum? 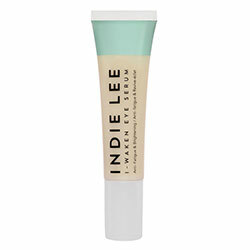 I-Waken Eye Serum sells for $48 per 14 ml tube. Does the I-Waken Eye Serum come with money back guarantee? There are no clear indications of risk-free coverage or money back guarantee that comes with every purchase of this serum. Although, some retailers may provide money back guarantees. Is I-Waken Eye Serum approved by the FDA? It does not have to be FDA approved to be in the market because it is categorized as a cosmetic and cosmetic products are not required to submit to FDA testing and approval.